Well, Virgin's loss is our gain. 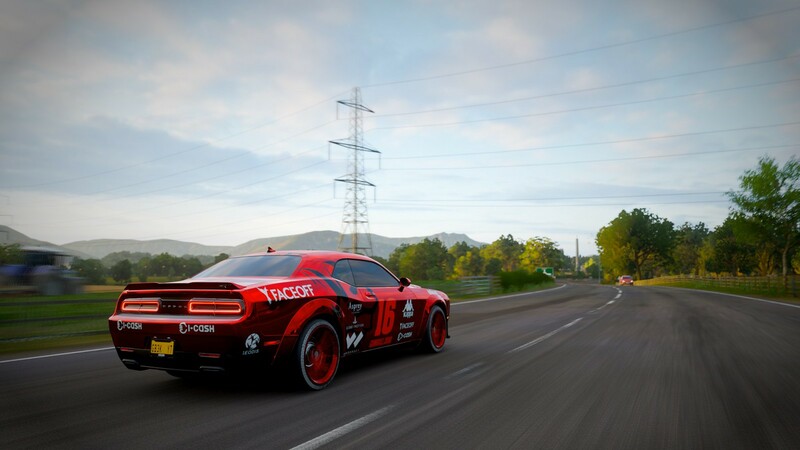 You really made use of time there Polizei, I'm always blown away by your liveries. 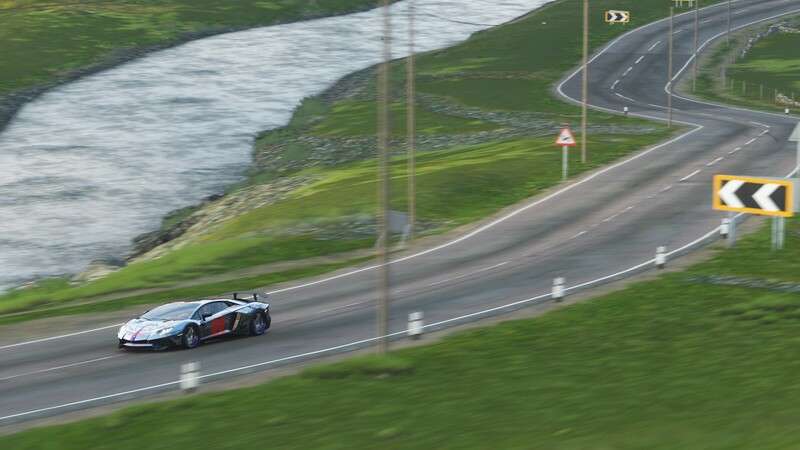 Really liking that Bugatti. They are all awesome as always though. Been off due to Broadband issues here (thanks Virgin). So I've quite a few updates which I'll spread over the next few days. 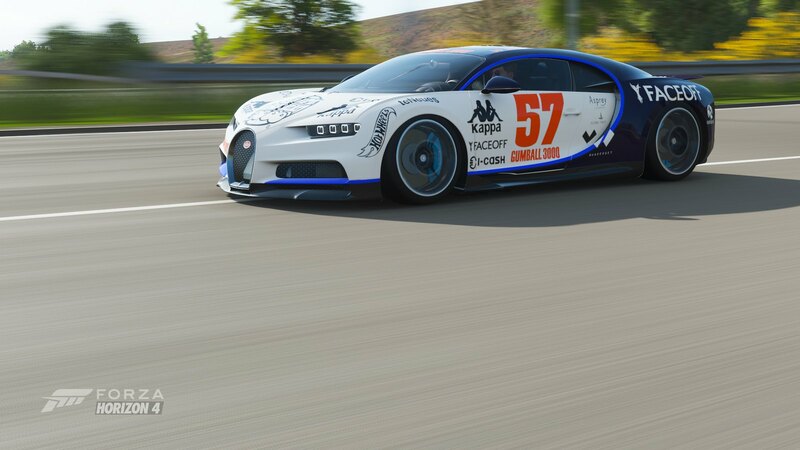 Post Pogini, my brain was a little fried so I went about tweaking the Bugatti Chiron. Why? 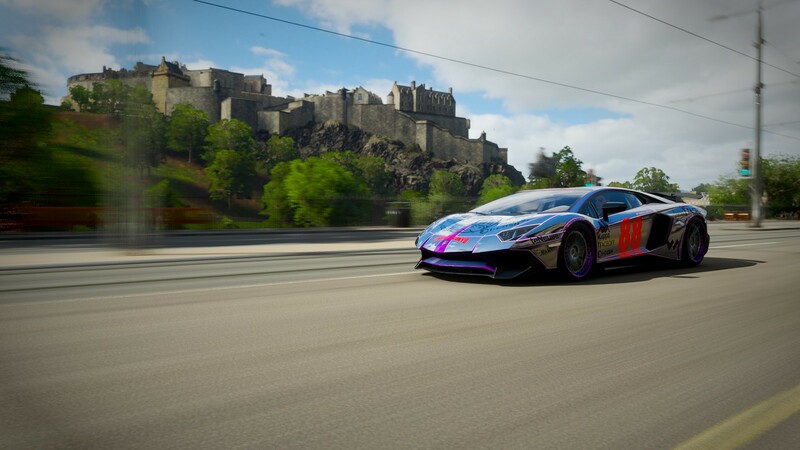 Well with the new tools available in the paintshop I was able to present the Chiron as close as possible to the real deal as I'd implemented a few compromises in the original (rear end is now dark blue). That and little things like the wheels are spot on to the actual car too. 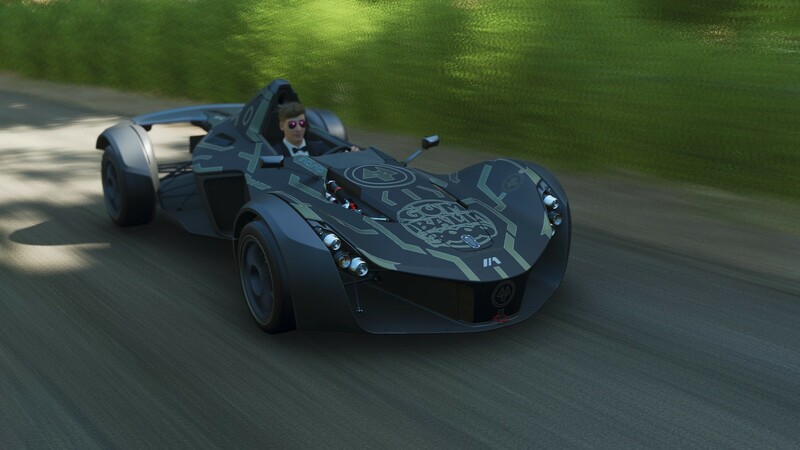 Again because of my little head hurting post Pogini, I knocked out a Fantasy Team Wolfpack Tron themed BAC Mono aka the WolfBAC. 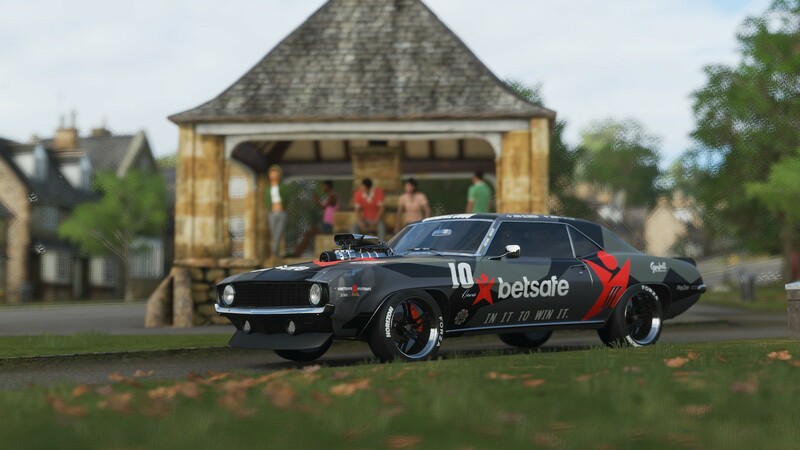 Going through my garage I realised I'd had a Camaro SS drop from a wheelspin. 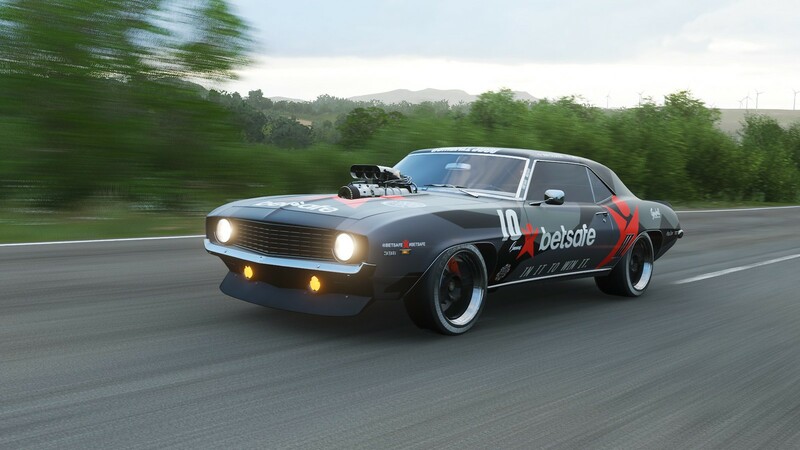 Straightaway I had to slam the Jon Olsson Gumball 2015 USA legs Gumball wrap on it, with suitable mods in tow too. Then finally, my good friends Team Salamone. 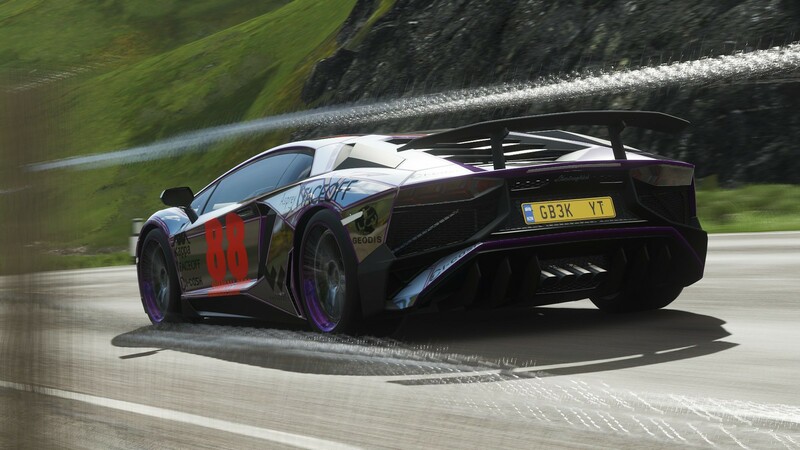 Have finally gotten hold of the Aventador SV and with the ability to mess with some of the wheel finishes, I was able to give the car it's purple chrome finished wheels. Also a couple of graphical tweaks have been squeezed in. Love the Pogini but shouldn't that have been the Huracan Spyder? I do hope it comes....with the roof down. 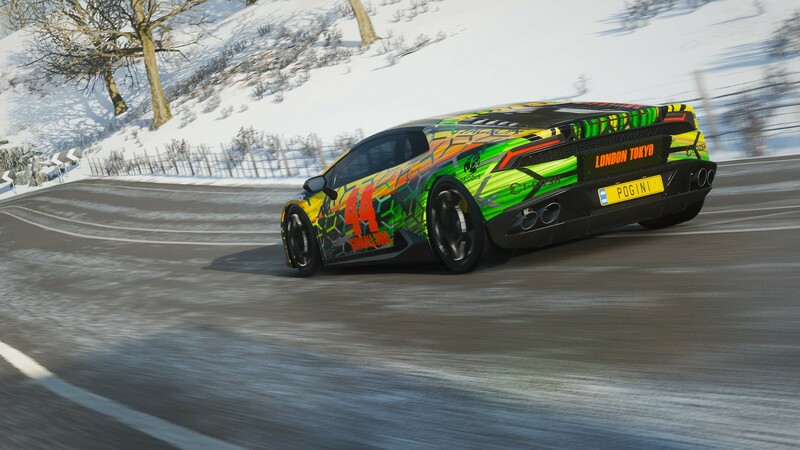 I'm totally digging that Gumball 3000 Lambo! 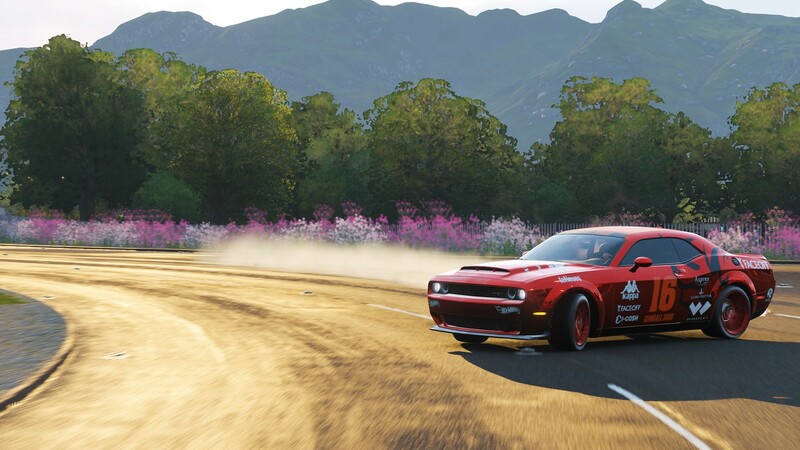 Gonna have to get me that livery of yours, also excellent job on all you're other pieces! That's awesome man! Congrats on him picking ya out like that. The design is amazing. 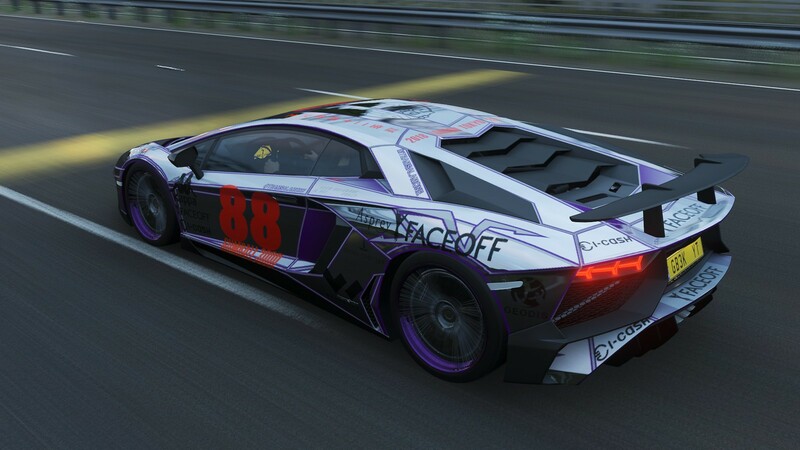 Was floored when I saw it on Twitter, definitely going on my Huracan. Keep up the great work!!! 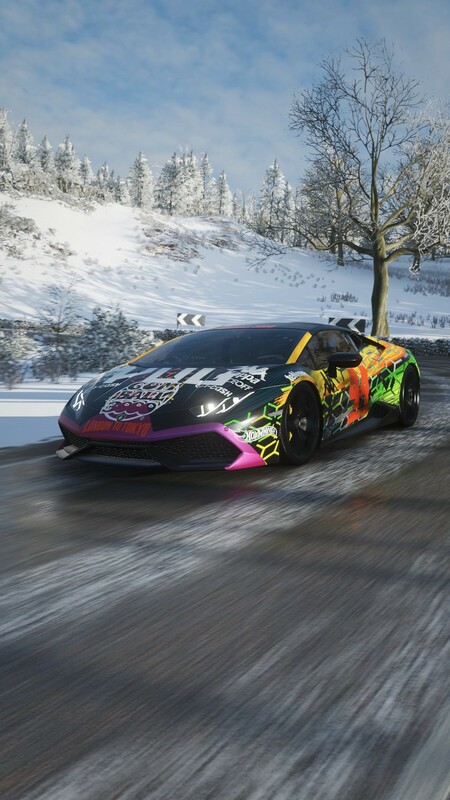 I received a private message from Pog aka Pogforver, an infamous Baller from the last few years (you may have seen his Forza video with his Aventador) asking if I could do his Pogini! How cool is that? LoL! 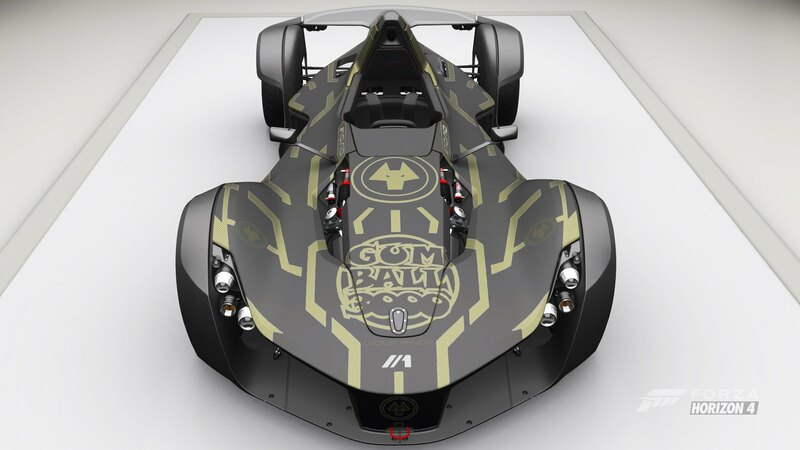 Ok, that last two weeks have been busy with my latest Gumball 3000 2018 replica. 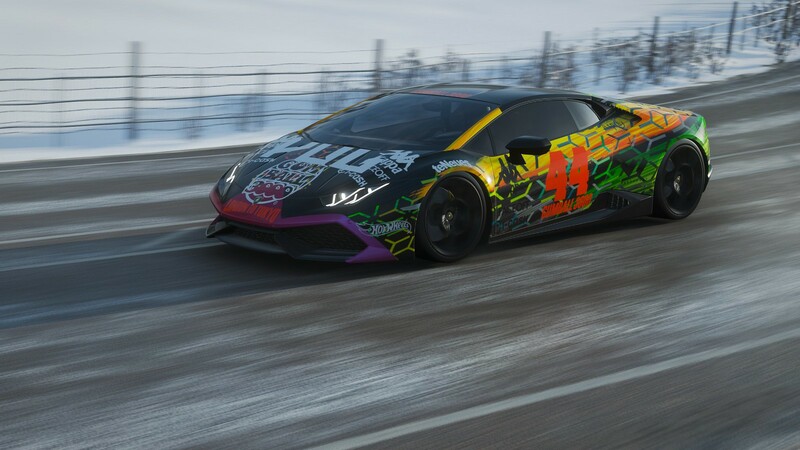 For now released in full Gumball livery. I'll update the library when it's Spring. Nice job, that Anastasia Date logo looks like a PITA, great work on the newest and as always I'm floored by the detail you put into these! I actually talked myself into painting one of these cars then found out that you’ve painted them all! :-p Lol, j/k. Outstanding works as always.